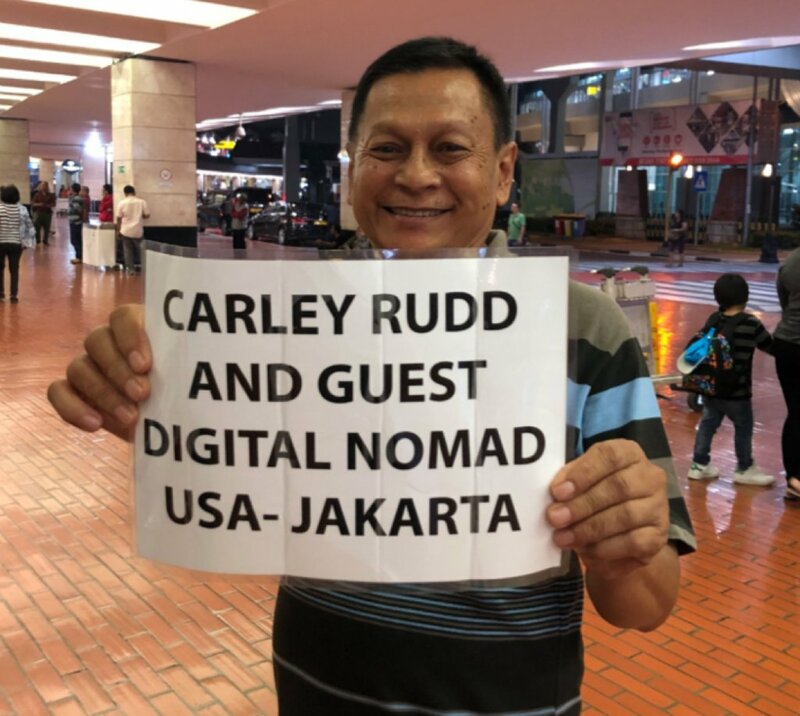 Photographer: I Was Nearly Kidnapped in an "International Travel Scam"
"I was recently victim to a highly elaborate, international business fraud and potential kidnapping effort," begins a blog post by Carley Rudd, a NYC and LA-based photographer. 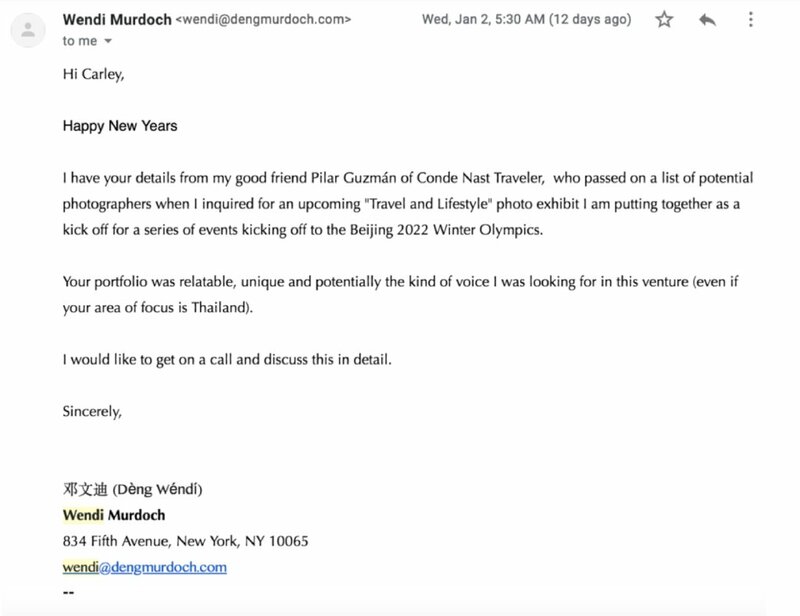 Rudd received the following email from Wendi Murdoch, who is, in fact, a very wealthy Chinese-American businesswoman and art philanthropist. In it, Rudd is told her information was passed along by Conde Nast Traveler, a recent client of Rudd's. So far, it sounds entirely legit. Rudd then jumped on a call with her assistant, and then Wendi herself. Wendi told Rudd she was in St. Barts but was jumping on a plane to New York the next day. Rudd checked Wendi's real Instagram just to make sure, and her last post was in St. Barts. Rudd then signed an NDA and received a ton of highly-detailed paperwork outlining the project she was going to be undertaking, the budget, and a creative brief. The image below is part of this confidential paperwork package Rudd was sent. Rudd spoke with Wendi and her assistant on the phone for at least a few hours over the coming weeks while she was preparing to embark on the excursion. At one point Wendi stopped a phone call with Rudd to talk to her child's nanny, a move Rudd said felt incredibly real. Feeling confident in the legitimacy of the project, she paid for her travel expenses which she was told would be reimbursed at a later date. "The characters Wendi and Aaron (her assistant) played were so believable, accents and all-even to a smart professional and frequent traveler," Rudd wrote. However, the biggest red flag came the day before Rudd was set to leave for Indonesia. Aaron contacted her and asked her to bring $1,400 in cash on her trip because they had overlooked a photography permit. Since they couldn't get it from abroad, Rudd would need to get it on the ground. Rudd was told she would be reimbursed via wire transfer (a fake wire transfer compensation was sent to her on time). When Rudd and her husband arrived, she was greeted by the man below. 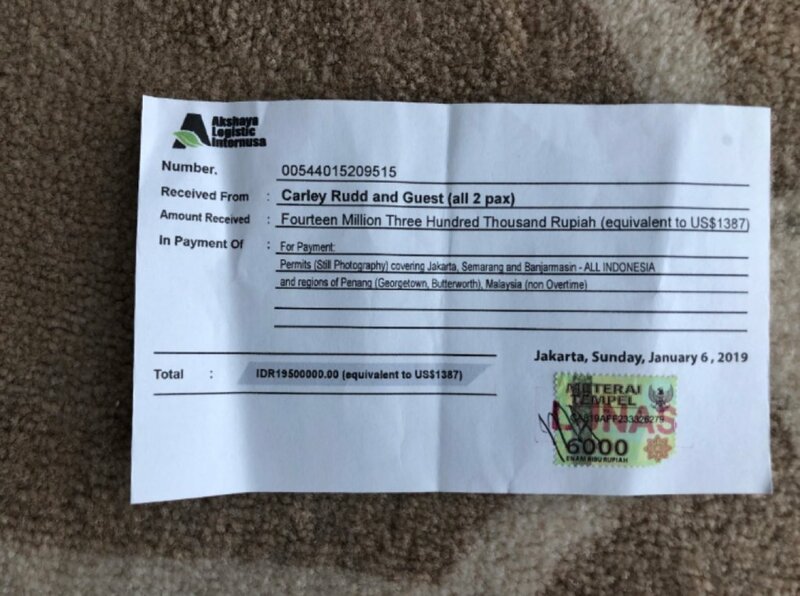 Rudd handed her driver the cash and received the following receipt for it. Editor's Tip: Step up your post-processing game with AI-powered editing tools. Try Luminar for free. However, Rudd is a safe traveler and used Google Maps on her way to the hotel and realized the driver took a long detour. Finally, he said he needed to stop to check his tire pressure. Once at the gas station, Rudd saw the driver hand her bag of cash to a man behind the vehicle. While this is an uncomfortable situation, there was very little Rudd or her husband could do about it since the driver barely spoke English. They arrived at the hotel and Rudd was sent to shoot the next morning. The driver, they were told, canceled last minute. So, the pair jumped in a taxi for a day at work around Chinatown. 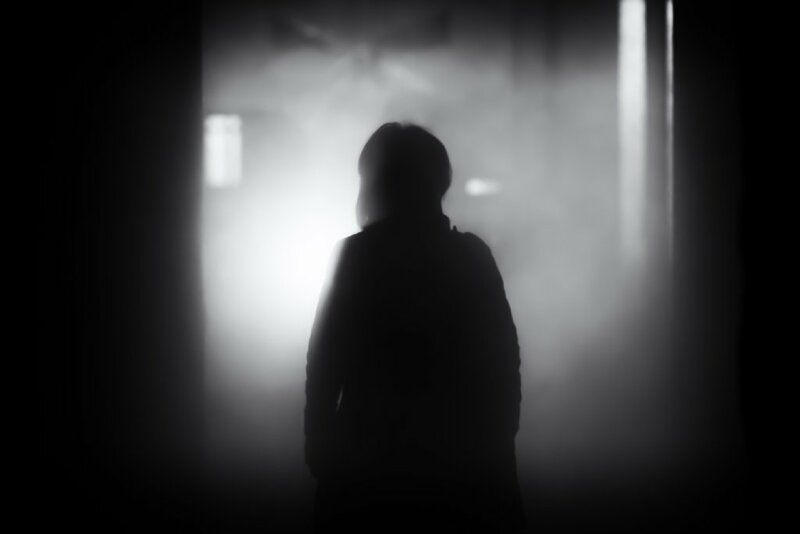 Later that evening, Rudd and her husband met up with a local friend who was immediately alarmed that the two were working in Chinatown since it is one of the most dangerous places in the city. Aaron called to speak about the next day's shoot and became really alarmed that the two were out with a friend. He said they may have broken their NDA and wanted to set up a call with Wendi the next morning to smooth things over. On the call the next morning, Wendi requested Rudd and her husband split up for the day in order to capture more shots. Rudd felt unsafe with this, so she told Wendi she would not agree. The call, Rudd remembered, ended amicably. However, she never heard from either Wendi or Aaron again. "I feel violated, naive and humbled by this entire thing," Rudd said on her blog. But, the story gets worse. Since Rudd posted on her blog a week ago about the scam, she said she heard back from hundreds of people who encountered the same thing. "I have since heard from hundreds of other photographers that have been affected by this scam," she said. "The scam is spread very wide and is directly targeting photographers and instagrammers." This Life of Travel covered another photographer couple, Henry and Zory, who were told the exact same thing (they were being hired for a shoot around the Beijing Winter Olympics) by the exact same person. The director of K2 Intelligence said she has personally spoken with 100 people who fell for this exact scam, but believes many more have not come to her company for help. Henry believes it is one person who is extremely proficient at male and female voices and a world of accents. All photos are the property of Carley Rudd and used with permission.